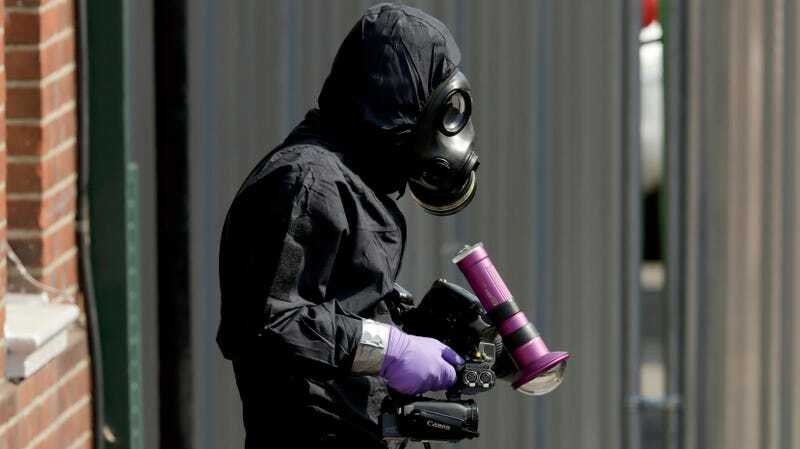 A British investigator works in Salisbury, Britain on July 6th, 2018. The other individual exposed to the toxin, 45-year-old Charles Rowley, remains hospitalized and in critical condition. The Skripals, as well as the police officer, have recovered. Authorities are still investigating the incident, which has been widely speculated to be a revenge hit by Russian intelligence services or organized crime—part of a pattern of allegedly suspicious deaths of supposed traitors to the Russian state living abroad in the UK. For their part, Russian government officials have denied all involvement, while at least some British officials have urged caution in attributing blame.